I know what you’re thinking—why would I want to get e-mails from this dude Adam in my inbox? Why? I’ll tell you why! Because it’s a good way of keeping tabs on me and seeing what I’m up to! If you’re a friend or family, you’ll get the inside scoop on where I am and what I’ve been up to. 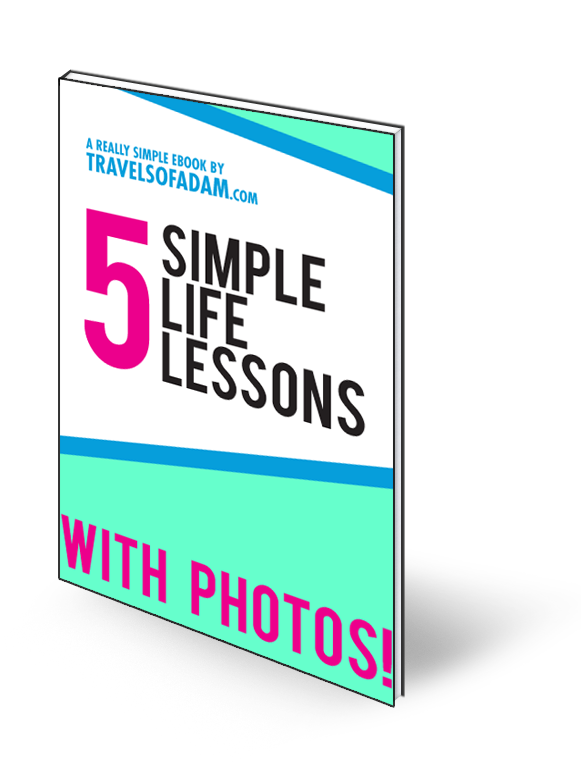 If you’re another travel blogger, you’ll get the inside scoop on what’s upcoming on travelsofadam.com—plus your site might be one of the featured links! Walk everywhere. You never know what you’ll find. Take pictures. Or don’t take pictures. It doesn’t matter. Those angles in the images are giving me some serious vertigo, but you get the idea. thanks Susan! let me know what you think of it? I love the idea of a newsletter, I just don’t think my travel experiences are up their enough to warrant a monthly newsletter let alone a weekly one. Although I’m signing up for yours and believe me I’m all for those simple life lessons.